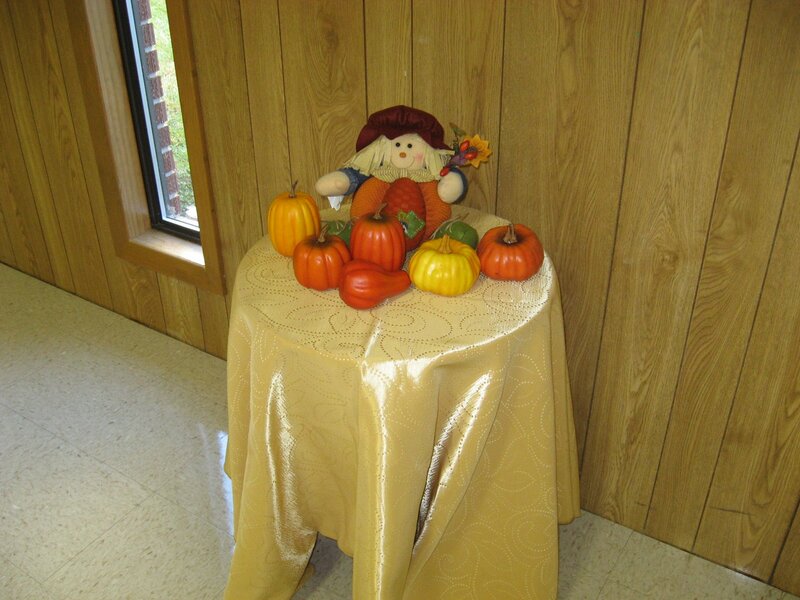 We recently had our fall ladies fellowship at church, and I just wanted to share some of the fun. Our theme was “Falling to Pieces”. I have been dealing with an ongoing battle with depression the last few months. It has not been the serious clinical kind, but the day-to-day, regular kind. If there is a “regular” kind! Rather than consult everyone I know about my problems, and get a different opinion with each person, I decided to just bypass the middle man and go straight to my Heavenly Father. I have delved into Scripture regarding my depression, and obvious mood swings, and I have not been disappointed! The Lord has been so good to me! I haven’t been able to eliminate all my mood swings, but I have reduced them greatly. I’ve also learned how to manage those days when sadness, loneliness and grief wash over me…sometimes for no apparent reason! With that said, I thought I would share my study on depression with our ladies this past Saturday evening. I am not a gifted speaker or a Bible scholar. I simply shared what God is doing for me. Even though we talked about “falling to pieces” and depression, I did not want it to be a depressing evening! We played a quick game and then had lots and lots of laughs and, of course, FOOD! 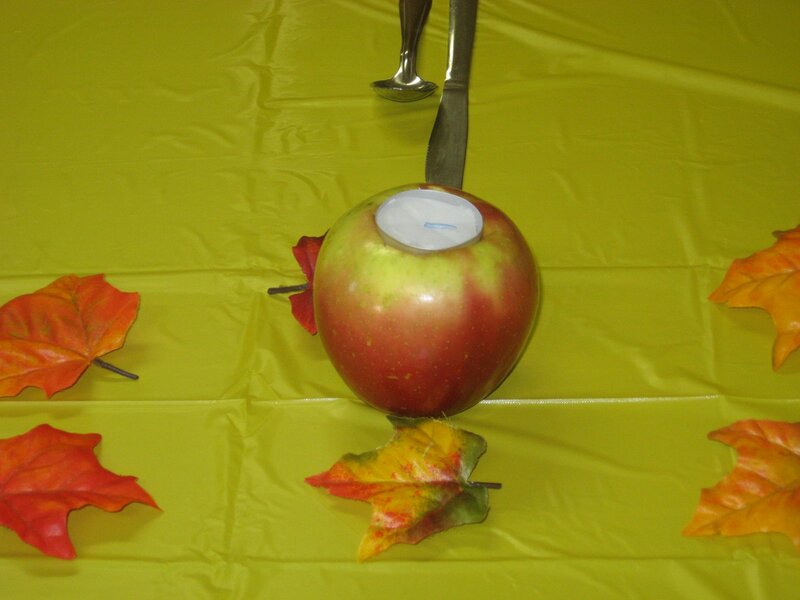 I made these apple candles to line the table with, along with falling leaves. The ladies really loved my candles. That was very encouraging because I am not a very good decorator! One lady brought this homemade apple pie…can you see the detail on that? We all hated to eat it…but being the martyrs that we are, we managed to do it! We had a good number come out. Three ladies that had signed up were unable to come for different reasons. We did have one visitor though, so that was nice! I was a nervous wreck most of the evening. I am younger than most of the ladies in our church, and I often let this intimidate me. It is then that the Lord reminds me that I am serving Him, therefore, He will help me and just why am I looking around at people anyway? He brings Peter to mind. I think about how he looked around and started sinking. He reminds me of Proverbs 29:25: The fear of man bringeth a snare: but whoso putteth his trust in the LORD shall be safe. I then breath a sigh of relief and am comforted once my mind rests upon Him. I am very thankful for my nervous, high-strung nature…it helps me keep calling upon Him for help in this important job of reaching souls for Him. I hope and pray that the ladies received a blessing. The point that I so poorly expressed was that whatever emotional issues we face in life, the Lord is there and ready to help us through those times. We need only to call upon him. I thank the Lord for his very present help! Previous Post Are You There? Beautiful Decorations! and that pie…wow that is nice! My sister is a very young Pastor's wife (has been since she was about 20)and I know she has battled the same things especially with their current church most of the members were “charter” members and very set in their ways. She has done so well and they all love her. Glad you are feeling better too. The fellowship sounds so nice! Thanks for sharing the photos. Who made that gorgeous pie? I know the ladies love you; it's so wicked that Satan tries to make us feel unloved and insecure. You are right to turn to the Lord. Start saying, “I think I can, I think I can, I think I can”. Before you know it ya'll start saying, “I knew I could, I knew I could, I knew I could!! Quit convincing yourself that you can't decorate lady. Your pictures above prove your right on the mark with decorating. Your Fun Festive Fall Fellowship looked Fabulous. Sorry I couldn't help myself. :] It looked too fun not to write out! Your not alone my friend. I do the same thing that you do. You want to please the Lord by bringing glory to him so bad sometimes the bringing plate seems to overflow, the brain goes into overload and you find yourself popping medicine trying not to pass out. Well that is how it gets for me. The best advice is what you already know, “Cling to God”. I find myself a basket case sitting on his lap more than one person should ever be allowed to daily. I'm sure glad that the Lord's sleeve is a spiritual clothing, cause he would have to change it daily from me snotting all over it! Your doing a great job Valerie.pw! Even I can see that from a 1,000 miles away! Thank you so much for sharing your heart not only to your ladies, but to us too! How encouraging to have a visitor!!! I am totally doing that apple tea candle idea. That is the coolest decoration ever! P.S. You gotta watch out for them P.W. 's, they tend to talk too much! I don't think you give yourself enough credit. Your decorations were beautiful. The Lord created those fall colors and you can't go wrong. 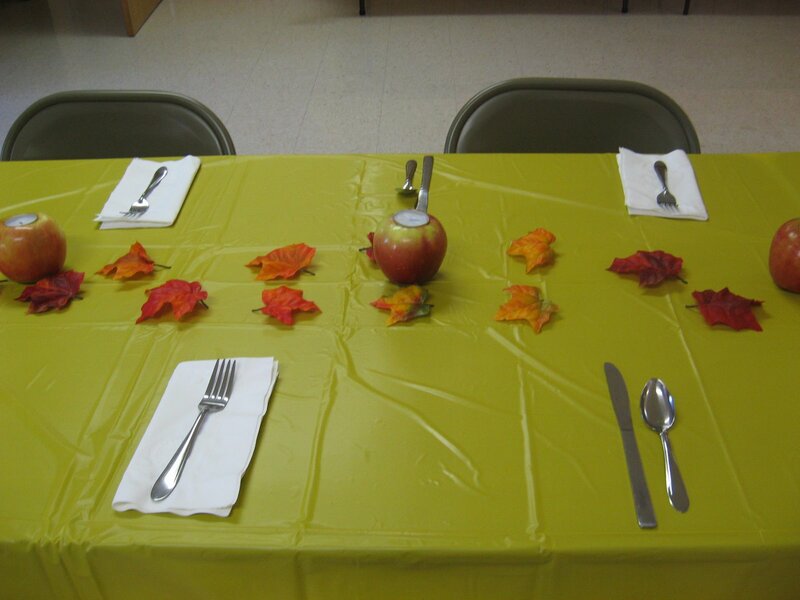 The apple candles were very creative and I betcha some of those ladies will try that and have them on their tables for Thanksgiving! I don't know you in real life, but I can tell you are very special with many God given talents. Don't let Satan steal your joy! Beautiful decorations and what a good idea for a devotional talk. WOW! I love your decorations. Did you just scoop out a real apple and place a candle in it?? How creative!!!! I know you did a great job and everyone was blessed.